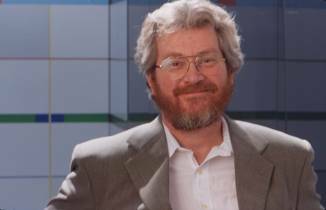 We start off our Fall 2011 Speaker Series on Monday, October 17 at 3:30 with MIT's Alex 'Sandy' Pentland. Sandy will explore how increased productivity and creative output are key to understanding how social networks, face-to-face and digital, shape the behavior of both employees and customers. Through the `big data' collected by Sandy's research group via sensors, they are able to measure the behavior of hundreds of people over long periods of time, and build models that provide accurate predictions of human decision making across a wide range of scales...team, organization, and even city. These models can also be used to more effectively shape social behaviors. Sandy's team proved this when they won DARPA's 40th Anniversary Internet Grand Challenge. As a consequence of these new capabilities, personal data is becoming ever more valuable... and also more dangerous. To address this concern Sandy will describe his work with the World Economic Forum, which has led to the emergence of a new personal data framework. Sandy directs MIT’s Human Dynamics Laboratory and the MIT Media Lab Entrepreneurship Program, and advises the World Economic Forum, Nissan Motor Corporation, and a variety of start-up firms. He has previously helped create and direct MIT’s Media Laboratory, the Media Lab Asia laboratories at the Indian Institutes of Technology, and Strong Hospital’s Center for Future Health. Profiles of Sandy have appeared in many publications, including the New York Times, Forbes, and Harvard Business Review. To register for this talk, please go to Eventbrite.